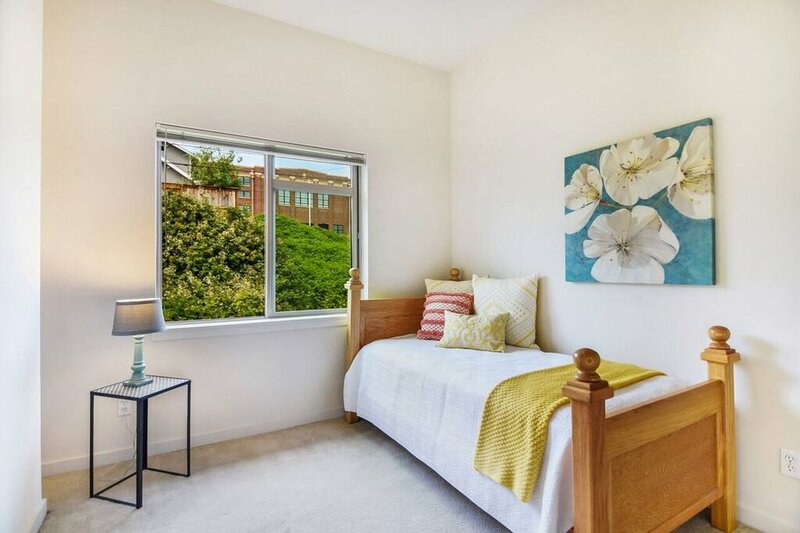 This Sunday, June 24th from 1 - 3 pm, I'm opening up my new townhouse listing in the City Steps condo community for everyone to visit and get an in-person feel for the location, layout, character and charm. Come see me this Sunday, take a tour, ask questions, and get a closer look. (Keep reading to check out the neighborhood section of this article!) Can't make the open house? Like to see the home? Call/Text me at 253-226-2787 and we can schedule an appointment! Welcome to the City Steps condo community! 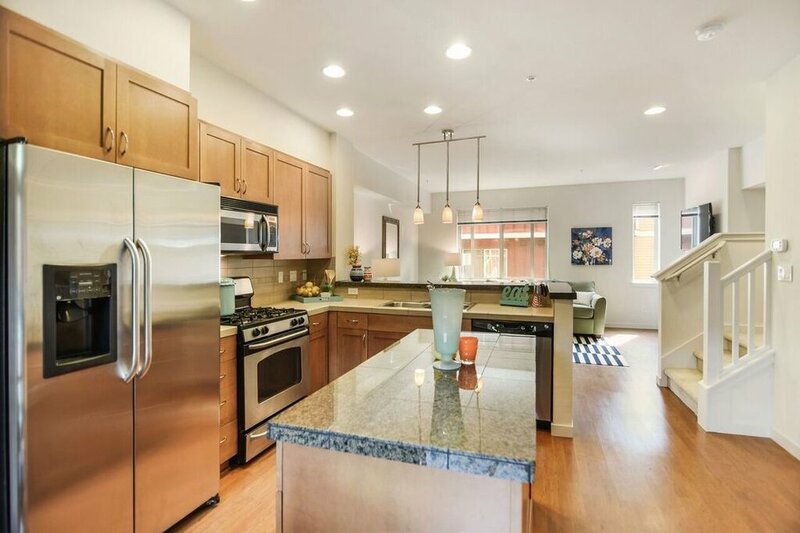 This clean townhouse neighborhood built with environmental sensitivity sets you in the heart of Tacoma’s revitalization in a lively urban setting just minutes from theaters, cafes, cocktail bars, breweries, restaurants, museum, parks, and all that Downtown Tacoma has to offer. Let's start at the top; it's a nice spot with its vaulted ceilings, skylight, and private suite with walk-in closet and full bath. This level also includes a second bedroom, second full bath, a spacious landing (big enough for a second sitting room or office! ), and laundry. The open living space on the main floor flows seamlessly from a private patio, through sliding glass doors to the dining area, into the kitchen with stainless appliances, gas stove, island and bar counter, then onward to a cozy fireside family room. You'll also find a convenient half bath on this level. Stash bikes and park 2 cars in the tandem garage, or use the second parking spot for shop/storage space. The front door opens from a covered area beside the garage into a tiled entry with a coat closet. An interior door connects to the garage as well. Head up the stairs and you're home! Get anywhere from this townhouse at City Steps! Whether you're walking, cycling, driving, or taking the bus, this location is the sweet spot. It's even on the bus line (48 & 45)! Heading to Seattle for the day? It's just a 5 minute drive to the Tacoma Dome Station/Park & Ride. Pull your car out of the tandem garage and reach Wright Park, the Zodiac Supper Club, Alma Mater, St. Joseph Medical Center, or Tacoma General Hospital all within 5 minutes. Images below from @overtacoma (featuring Wright Park) and @matriarchlounge. Head out the door on foot to reach the University YMCA, 7 Seas Brewing, UW Tacoma, or The Swiss Pub, within 10 minutes. The Thursday Broadway Farmer's Market is less than a mile and a half away! Images below from @7seasbrewing and @tacomafarmersmarket. Images from @breweryblockstacoma and @honeyatalma. There's a lot more to say about this home, and much more to see. Take a look at our full listing blog post for more photos details about this townhouse at City Steps. I hope to see you at the Open House this Sunday, June 24th from 1 - 3 pm. Have a great weekend! Older PostMeet Kerri & Take On Human Trafficking With WA Trafficking Prevention!